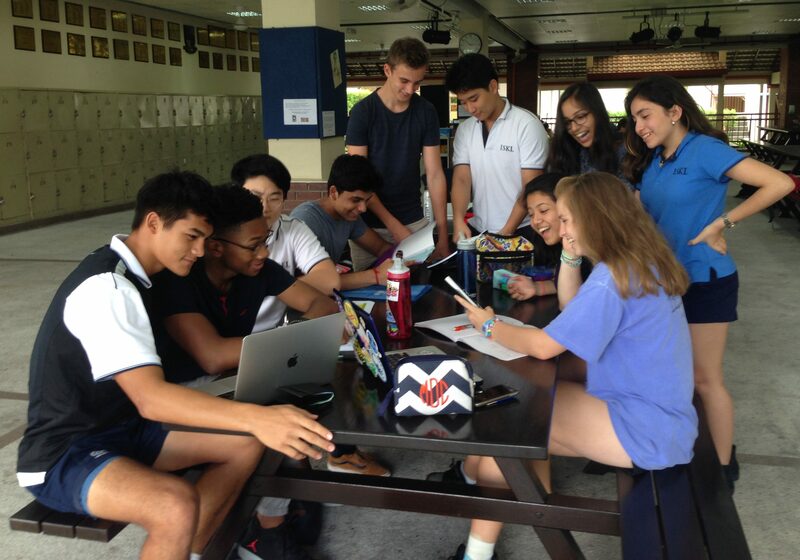 by Senior Editor Valentina M.
The first week of school is often greeted with a contradictory mixture of ambivalence and excitement. These few days mean different things for different people. For some, these have been the first days of a high school experience, and the first introduction to the rigour and structure of freshman year. For others, this week has simply been an extension of last year. Classes hardly pausing for introductions, instead forging ahead into the curriculum. Josh ‘19 articulates the social aspect of a new school year. “It has been great so far, you meet new people, a lot of people left but that’s alright. I’m excited for the new year”. Lastly there are those stepping into their final year of high-school. A confusing, exhilarating, and demanding whirlwind of emotions. Three years of work, sports, and relationships come to a close. This is expressed by Clara ‘18 “Going into senior year simultaneously gives me the most happy as well as the most sad feeling”. This conflicting set of emotions seems to find itself in the minds of most seniors this year. While these days have meant different things for different people, they all hold a certain promise. This week foreshadowing the beginning of a bright new year.